The Selangor Youth Community (SAY), dropped by for a visit at the Selangor Digital Creative Centre (SDCC) on Nov 2, with the delegation led by Izhar Moslim, the CEO of SAY, with the purpose of learning more about the activities and programs held by the Selangor Information Technology and E-Commerce Council (SITEC). 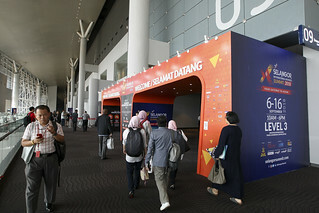 SAY, which is under the patronage of DYTM Raja Muda Selangor, is a leading youth network that aims to catalyse youth engagement and development in Selangor, and serves to facilitate connectivity, capacity building, and collaboration among youths in Selangor. The delegation, which was met by SITEC Chief Executive Yong Kai Ping, has expressed interest in finding areas of cooperation and collaboration with SITEC, with their ultimate vision to create champions from Selangor. 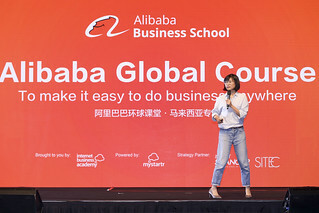 Yong introduced SITEC and its various programs such as the Top E-Commerce Merchant Awards, the E-Commerce Education classes, the Southeast Asia E-Commerce Conference, the upcoming Selangor Smart City International Conference, and the Online 100 programme, as well as the role played by the SDCC in providing co-working spaces to entrepreneurs. Elaborating further on the StartupQuest Selangor programme was SITEC Startup Manager Ms. Ann Lee, who provided a rundown of how a session of the StartupQuest Selangor event is run. This was an area of interest to SAY, who have noted that entrepreneurship is definitely one of the means through which unemployment can be reduced. 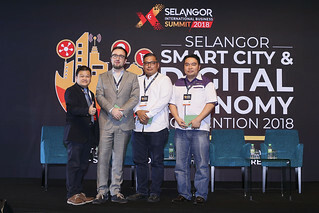 “We can only act as facilitators, because only those involved in an idea can know what they really need,” said Izhar, who also noted that there is a lot of opportunity for collaboration, and has expressed a willingness to work together to improve the lives of the people of Selangor.